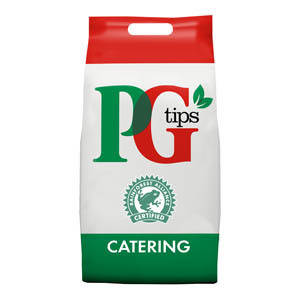 For a flavoursome cup of tea, you can’t go wrong with PG Tips. And at Zepbrook we stock their top products at great prices to ensure your office always gets the perfect brew. 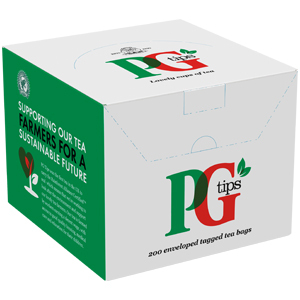 To give your business a refreshing breaks and to help save the rainforest (PG Tips are signed up to the Rainforest Alliance) just enquire online about opening an account and take advantage of our bulk pricing for your office or business. PG Tips Pyramid Tea Bags. Premium one-cup tea bags. Pack of 1150. 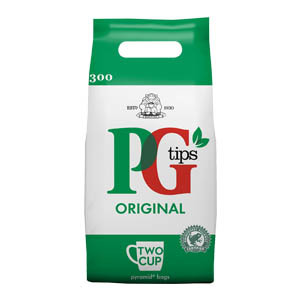 PG Tips envelope tea bags (200 tea bags). One-cup tagged tea bags in individual envelopes. Ideal for use in office canteen's, cafe's and meetings. PG Tips Pyramid Tea Bags. Premium two-cup tea bags. Pack of 8x300.